This option is good for a pedicure. In addition, presented chair is perfect for performing many other treatments in your beauty salon, starting from massage and finishing ultrasonic facelift. Please, that the chair can also be controlled automatically. This chair can be fully decomposed horizontally! Moreover, even in the extended position, it is spacious enough for your customers (even for visitors with a "lush" figure). Chair is made in a light tone; cover is easy to clean and pleasant to the touch. 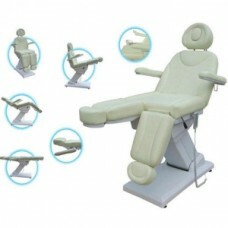 Looking forward for your response on the chair KPE-4.